"And I'm sure when this is delivered ... we'll get attacked from the left, from the right." Kevin Rudd, 7.30 Report, 11 December 2008. Questioned about the Carbon Pollution Reduction Scheme on the ABC's 7.30 Report in December, Kevin Rudd gave us a neat summary of his Government's climate change policy-making philosophy and demonstrated how we ended up with a completely inadequate emissions reduction target of 5 to 15 per cent by 2020, massive giveaways to big business at the expense of the Australian public and a position that can only help to derail international negotiations on a global emissions reduction deal. It comes down to basic political algebra. The ALP, in the absence of a clear ideological position on an issue, aims to make policy by seeking a "balance" between the left and right of the political spectrum, and arriving at some middle ground. On climate change they are claiming to have done just this — they have consulted with big business, unions and environmentalists and come out with a policy that they claim "gets the balance right" between these competing forces. While this process can be considered flawed at the best of times, its application to climate change is downright dangerous. Why? Because no matter how skilled a negotiator you are, it's impossible to strike a deal with the laws of physics and chemistry — which leads to our first question for the PM: "Where are the scientists?" The climate change problem is not the same as an ideological battle on industrial relations or the privatisation of essential services. At its heart, climate change is an issue based in the physical sciences — heat is being trapped in our atmosphere and changing the climate cycles of the planet. No amount of consultation with stakeholder groups and interested parties will change that. 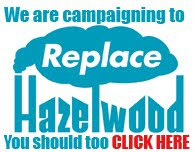 Lobby groups, whether they represent business, welfare or environmental interests, have no place determining what Australia's and the world's greenhouse gas emissions targets should be. Where they do have a very important role to play, is in determining what actions are taken or how targets are met. But targets must be decided by scientists. 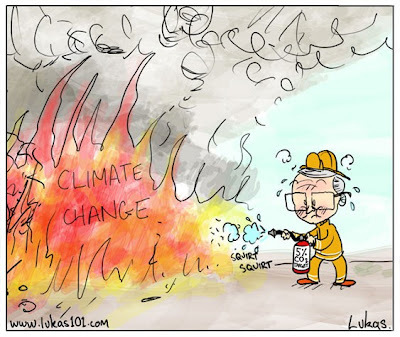 Neither Kevin Rudd nor Penny Wong mentioned scientists in their spruiking of the atrocious Carbon Pollution Reduction Scheme (CPRS). Not one prominent climate scientist has come out in support of the scheme; in fact many have denounced it. What Kevin Rudd refers to as "the left" actually includes a majority of the world's scientists. Without a basis in science the CPRS is a joke. Currently, a precautionary scientific consensus is emerging around the need to stabilise atmospheric carbon dioxide levels at well below 350 parts per million (ppm), probably closer to 300ppm to avoid runaway climate change. (These figures are carbon dioxide only, not carbon dioxide equivalent.) Our current levels are around 390ppm, and Rudd's recently announced targets, if adopted by the rest of the world, would have us stabilising at around 450ppm — resulting in hundreds of millions, if not billions of human deaths over the next 100 years. It is unclear whether Rudd and his ministers actually believe in this dichotomy, or just use it when convenient. The proposed economic stimulus package, which includes a $507 million increase in the solar hot water rebate and $3.3 billion for ceiling insulation, shows that the government can put forward initiatives that benefit both the economy and energy efficiency. It's a good start but this piecemeal approach is far from sufficient as an emissions reduction policy. Furthermore, a lot more money has been allocated for counter-productive measures like the $12.7 billion worth of electoral bribes to taxpayers, which encourage consumption and thereby will probably increase emissions.